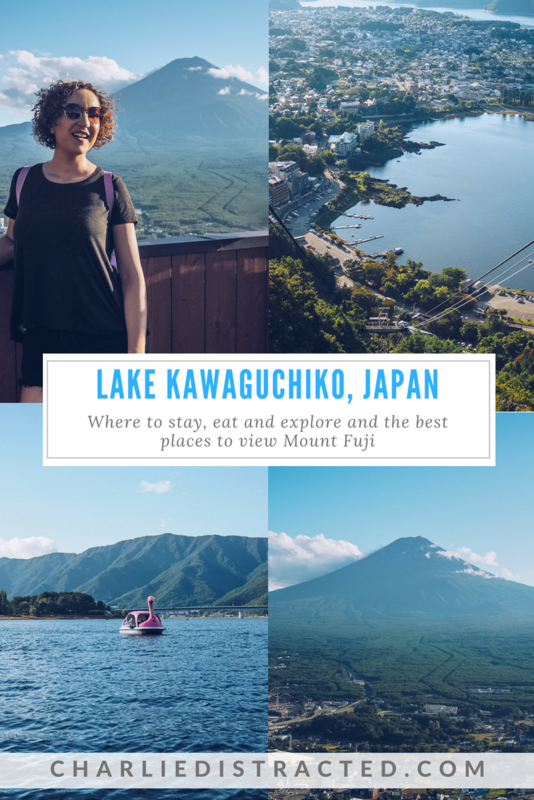 Mid-way between Osaka and Tokyo was the best stop of my Japanese adventure: a day in the Fuji Five Lakes area of Kawaguchiko in order to spot the iconic Mount Fuji. 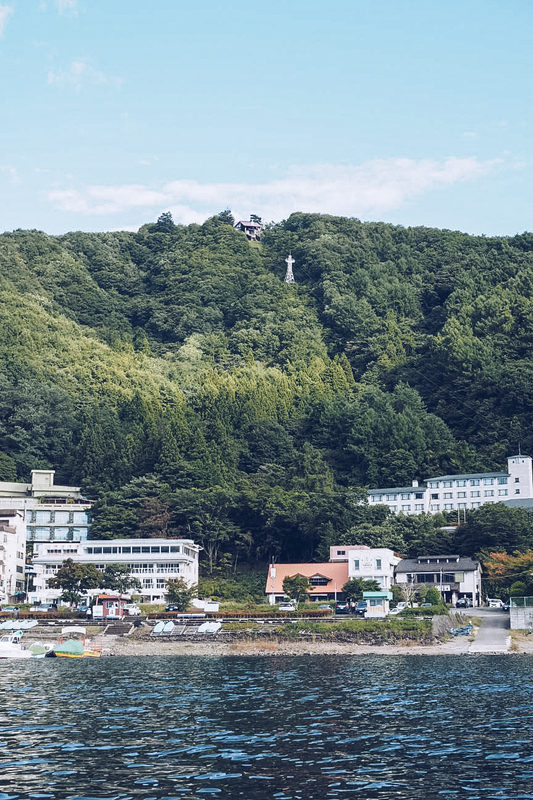 There were a few truly iconic sites that I was desperate to see on my trip to Japan: the Bamboo Forest, the floating shrine of Miyajima, the geishas of Kyoto. 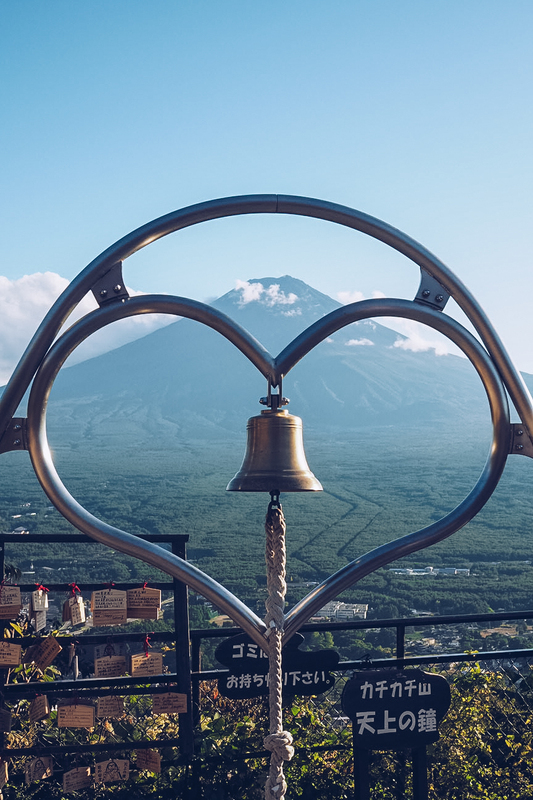 But it was Mount Fuji that came top of my list and planning our route by bullet train from Osaka to Tokyo became centred around a stopover to try and spot the allusive snow-capped peak of Japan’s most famous mountain, Mount Fuji. The trip to Kawaguchiko from Osaka consisted of a super fast shinkansen service using our trusty JR passes, followed by a local train and a not-so-simple bus journey which then dropped us off in the small town at about 8pm, leaving us to walk to our hostel in the dark, with only Google Maps and positive thinking to get us there in one piece. We’d had a quick glimpse of Fuji from the train, but it was nowhere to be seen once we checked in to our cosy (verging on a tad too small) Japanese-style room at K’s House hostel, complete with sliding paper doors and tatami mats. 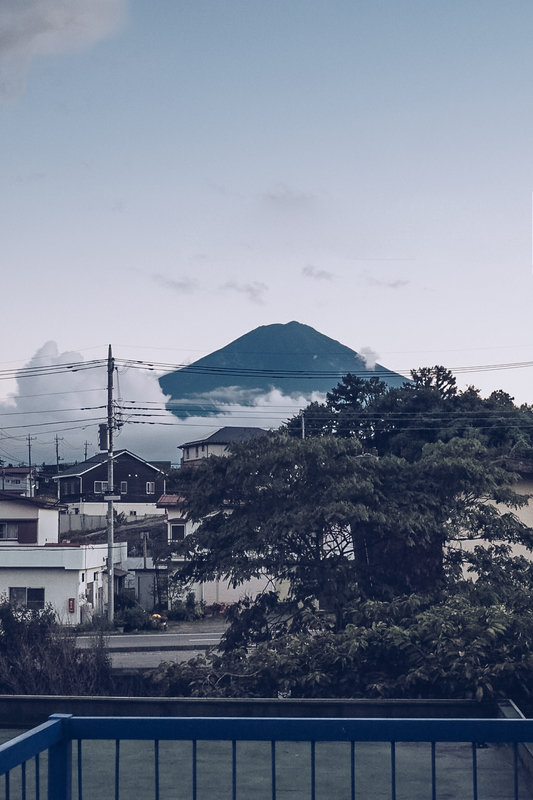 Fast forward to the morning and imagine the SQUEALS from five very excited travellers to see beautiful Fuji just becoming visible right outside our window. 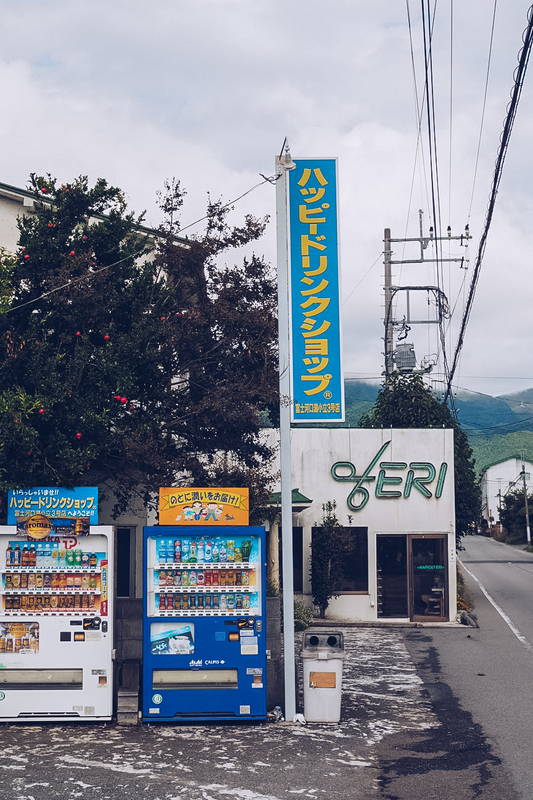 As we were only staying in Kawaguchiko for two nights, we didn’t stock up on food to cook ourselves and eat there so the first point of call on our one full day was to find breakfast. Somehow, in the middle of a sleepy, rural Japanese town, we ended up in Dino Diner. 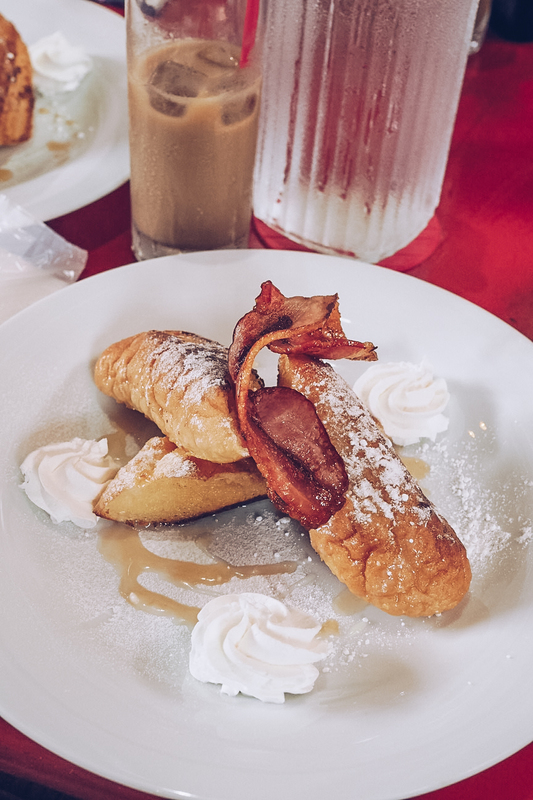 I’d forgotten that the Japanese love Elvis, and this was essentially an homage to everyone’s favourite 50s crooner, complete with Americana paraphenalia and a pretty decent French toast with maple syrup and bacon. You’d never guess you were in Japan until you realise you had to sit on tatami mats instead of chairs, and the men in suits next to you are slurping on ramen for breakfast. 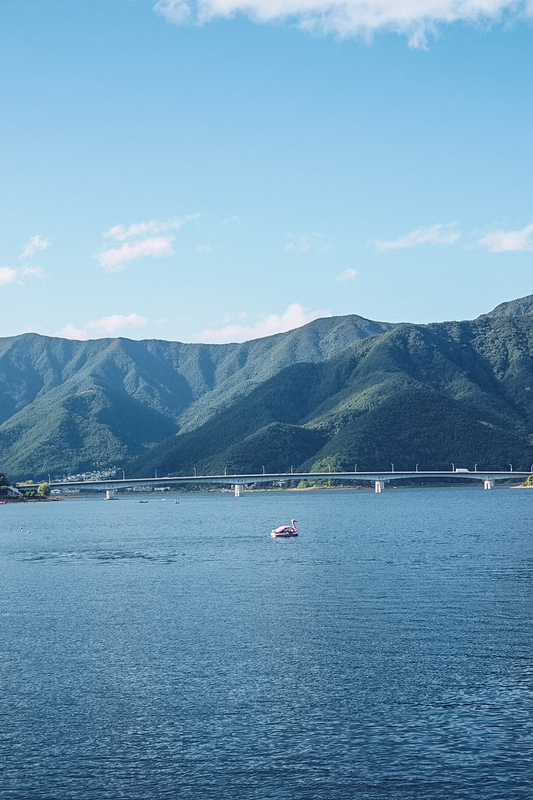 Compared to the huge cities we’d already been to, the Lake Kawaguchiko area was pretty small, but it was bloody hot and there’s a lot of hills. 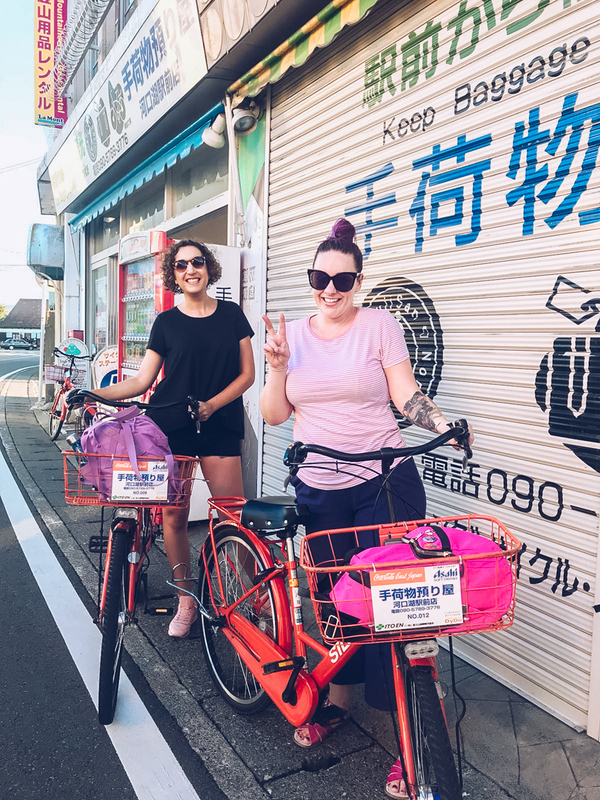 Erica and I chose to hire bikes from Fujisan Bikes to see as much of the town and the lakeside perimeter as possible, while the others rode the free bus back to the tourist information centre. 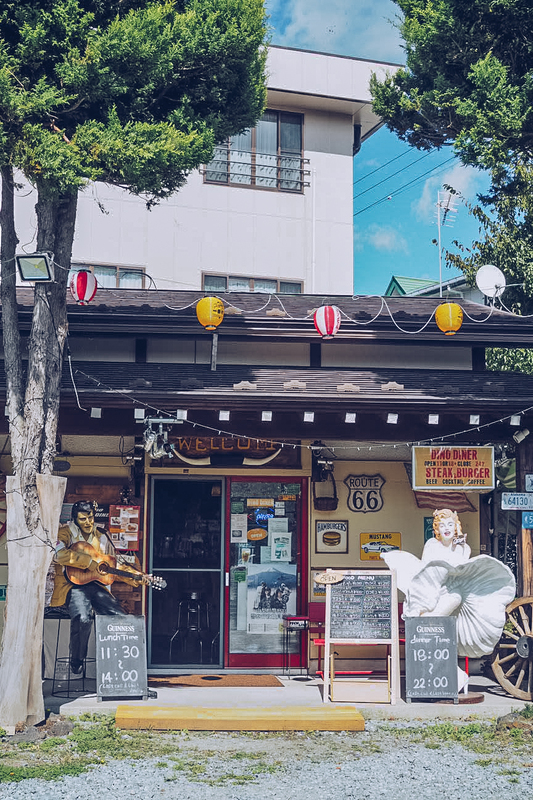 The back streets feel lived in and had so much more personality to them than the carbon-copied store fronts of Kyoto, and whizzing down hill to the lake itself was the best way of cooling down in the insane heat! 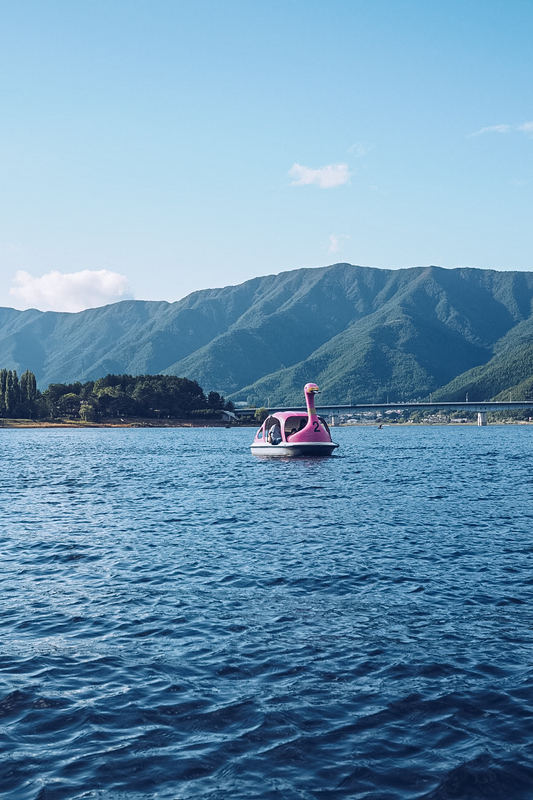 An hour of cycling was more than enough for two women who aren’t quite the right side of fit, so we parked up our bikes and jumped on board our own pink, swan-shaped pedalo. It was a bit too much like exercise for our liking, but we managed to get pretty far out and get a good view of the town behind us. It’s all fun and games until you realise an actual real sized, real engine-powered boat packed with tourists is making its way towards you at full pelt and you have to do the pedalo equivalent of a handbreak turn to stop yourself from actually dying. Don’t do that. 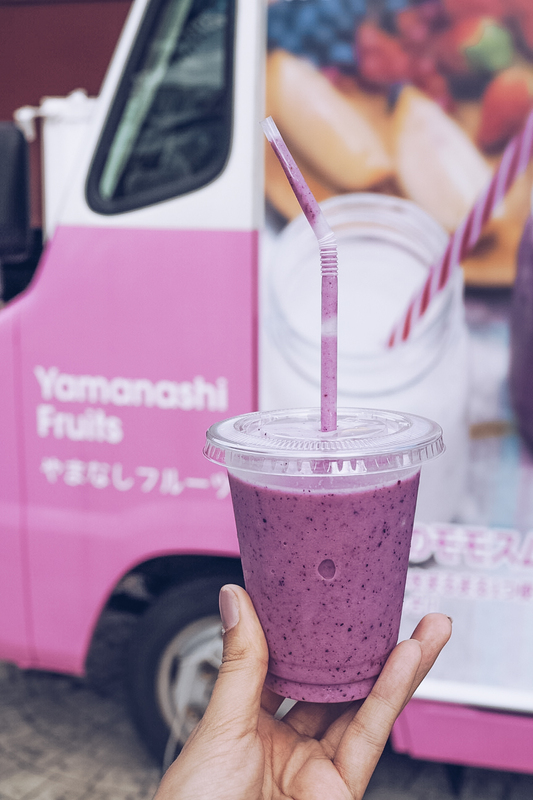 Having had a substantial breakfast, I didn’t really need a big lunch (plus Lawson and 711 are both the best places for getting awesome snacks in Japan), but spotting a van selling fresh fruit smoothies was exactly what I wanted after over a week of heavy indulgence. The owner of the van was an expat from New Zealand who had moved to Japan to be with his wife. His father-in-law was struggling to sell all of his crop of peaches and so they came up with the smoothie van as a joint venture. It wasn’t novel in a kitsch Japanese way, but it was wonderfully recognisable and completely delicious! 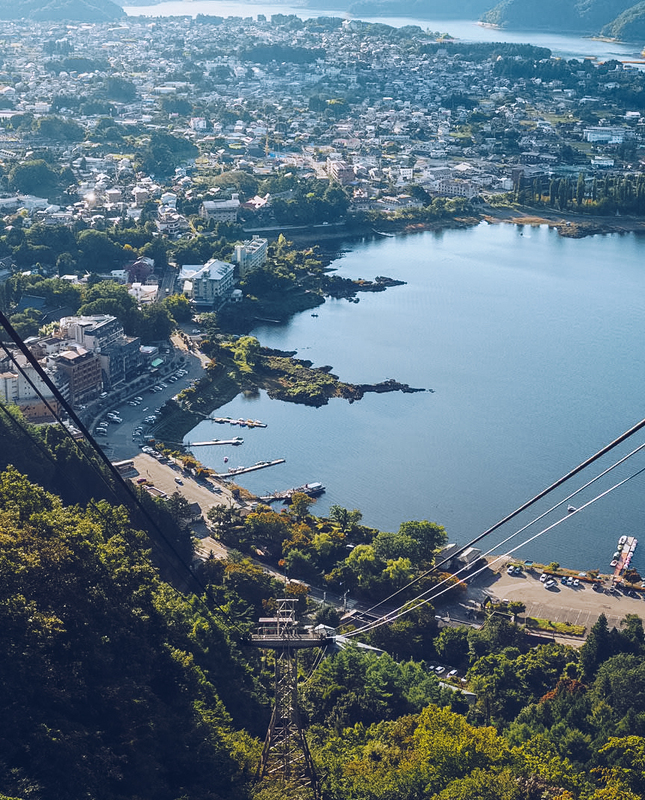 Before you leave the smoothie van, don’t forget to duck into the tourist information centre to get a discount voucher for the ropeway (it’s not that expensive to get up there, but every little helps, right?). 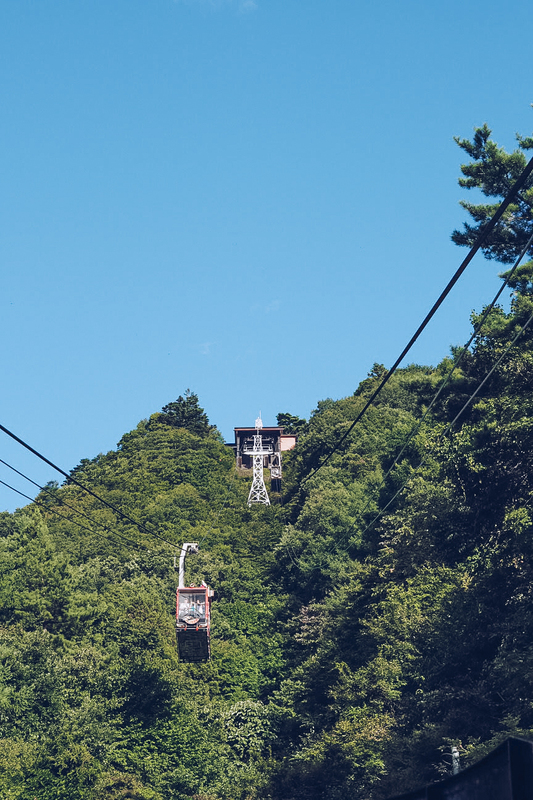 You could walk to the top of here, if you are a glutton for self-punishment, but lord knows I love a cable car (and a funicular railway, FYI) and on such a hot day it was the easiest way to get incredible views over Lake Kawaguchiko itself. 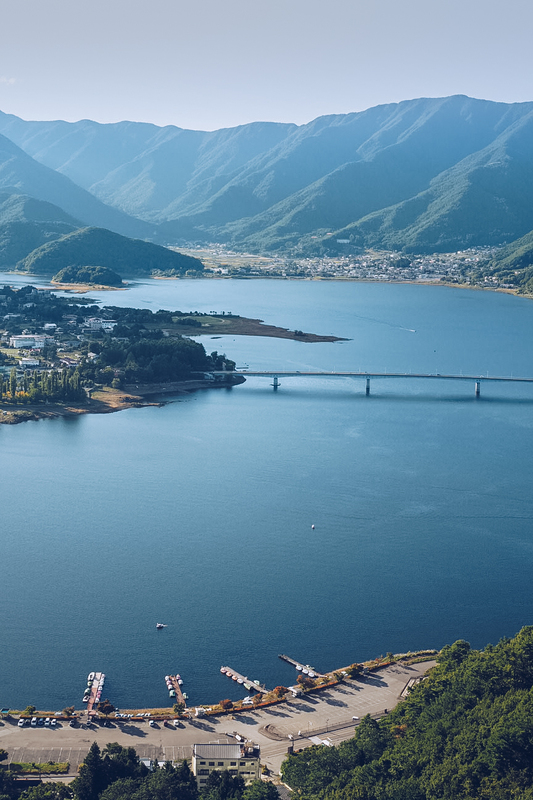 The main draw though, is the jawdropping aspect of Mount Fuji. 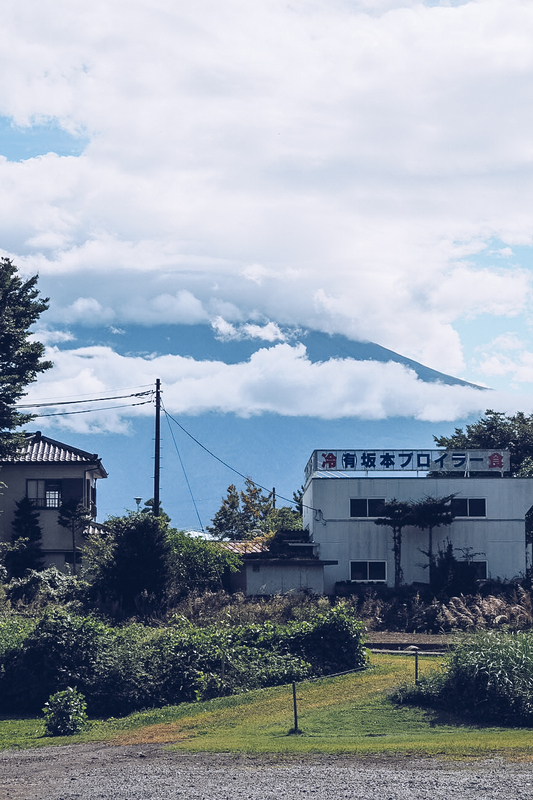 The tourist centre predicted that the clouds would clear at 3pm and pretty much bang on time, the skies shone at their bluest and the peak of Mount Fuji was completely visible. 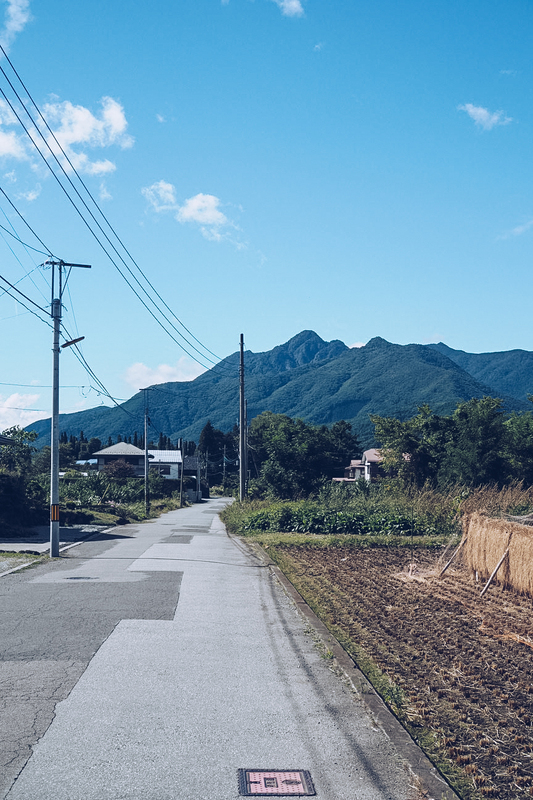 We didn’t get to see the famous snow cap, but seeing the full mountain, spread down from its peak to villages and towns surrounding it below was an emotional experience. We stood and stared for a good hour, taking it all in and struggling to believe that we were really there. 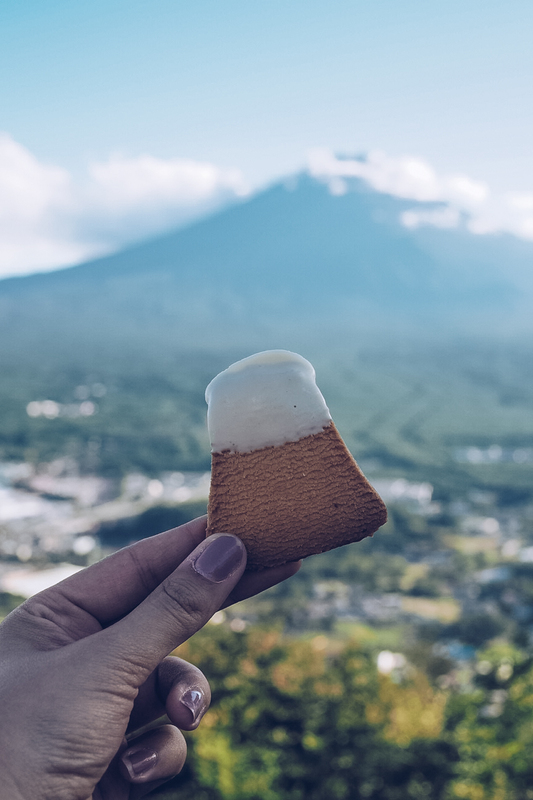 When it was finally time to move on (after buying a whole heap of Fuji merchandise, including mountain shaped biscuits with white chocolate tops from Fujiyama Cookies), there was such a sense of holiday satisfaction. 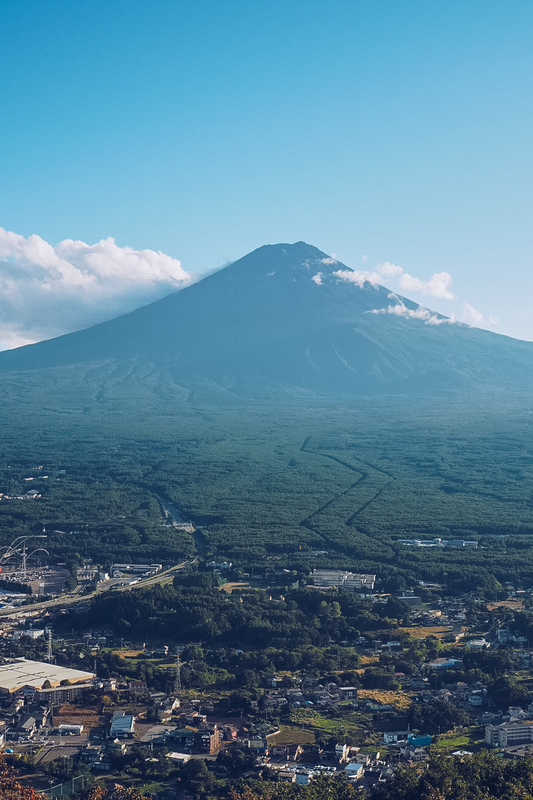 I’d been to Japan and I’d seen Mount Fuji – what a thing to be able to say! After some time cooling down and feeling refreshed at our hostel, we ventured out for dinner. A few places with Japanese dishes on the menu were either closed or too far for us to bother walking to, so we ended up at a Thai place a short walk from our accommodation called Kin Kao Kon. I was skeptical at eating Thai food in Japan, purely because it wasn’t what I was expecting to eat whilst we were there, but actually the food was great and being the only customers there, the service was super attentive and so polite. FINALLY, after seven days in Japan, we indulged in the most famous and most fun of Japanese traditions. 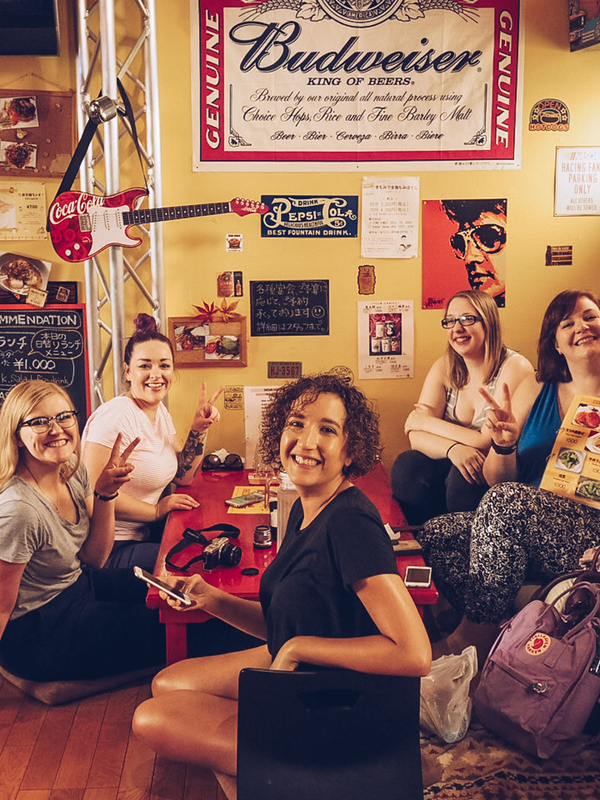 The receptionist at our hostel had told us about a karaoke bar that was open until late and was just around the corner, but when we turned up, we weren’t expecting to see a small group of locals eating their dinner and for the place to look like a builders cafe off a motorway sliproad. But ‘karaoke’ is a universal word, and once we were shown to our private booth, helped with getting an English menu and subtitles up on screen, and drinks ordered, we knew we’d hit the jackpot. The drinks flowed, I sang myself hoarse, and I LOVED EVERY SECOND. 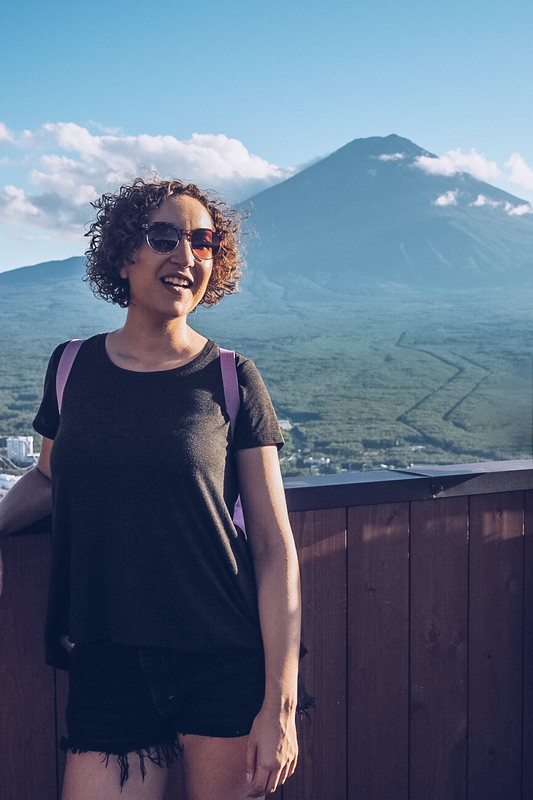 On a clear day, you can go to the top of many of Tokyo’s observation decks and see Mount Fuji from afar. 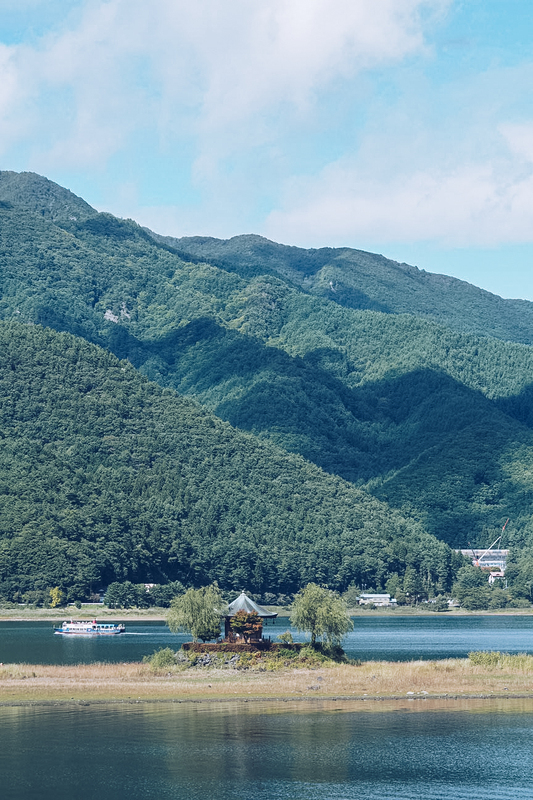 You can spot from the train as you whizz past on your way to or from Osaka. But seeing it up close, in my own time, and in a beautiful rural setting was something very special indeed.